Background: He had a solid arm but lacked the biggest arm. He lacked the speed to run away from pressure. What made Bobby Hebert special? He was a winner. The Saints were 49-26 when he started fora winning percentage of 65.3. Hebert guided the Saints to their first playoff appearance ever in 1987. The Saints were 10-2 in the games he started. They were 10-6 in 1988 but in 1989, the Saints never found their groove and were 6-7. Jim Mora made a decision to start John Fourcade, the Saints won all three games Fourcade started and the team finished 9-7. When he became embroiled in a contract dispute with Jim Finks, Hebert sat out the 1990 season. While the Saints went 8-8 and made the playoffs, they struggled mightily at quarterback, leaving many to wonder what could have been had Hebert been at the controls. 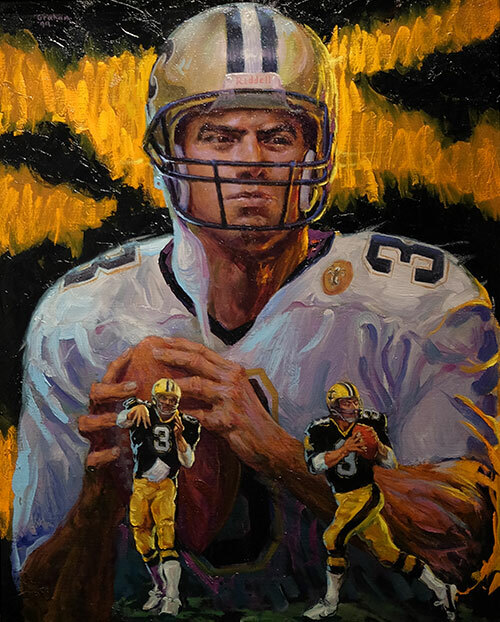 With Hebert back in the fold in 1991, the Saints started 7-0 but then he was injured. The team was 8-1 with Hebert starting, won a division and reached the playoffs. In 1992, Hebert started all 16 games and the Saints were 12-4 and made the playoffs. Hebert completed 58.5 percent of his passes and threw for 135 touchdowns for New Orleans. While he was not one of the elite quarterbacks in the league, he was a natural leader, solid, dependable and tough. Hebert ranks fourth in passing yards and in passing touchdowns in franchise history. A local hero from South Lafourche and Northwestern State, Hebert went on to become very popular as a radio host on WWL in New Orleans. Greatest Moment: There are many to choose from but the Saints were a good team, in the heat of a playoff chase entering a home game against Denver on Nov. 20, 1988 in the Louisiana Superdome. Hebert was absolutely flawless against the defending AFC champions, completing 20-of-23 passes for 194 yards and three touchdowns with no interceptions as the Saints blasted the Broncos 42-0 to improve to 9-3. 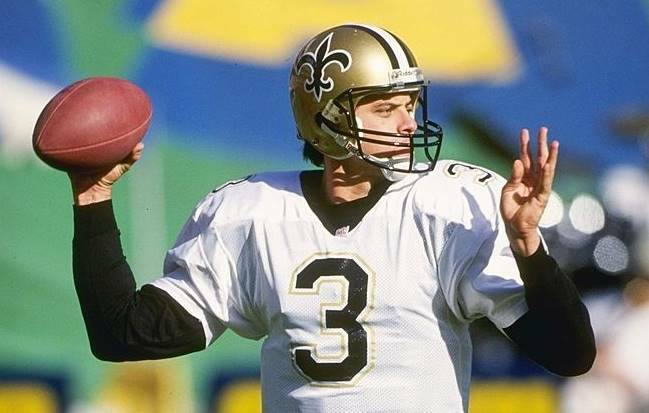 Hebert posted a quarterback rating of 141.4, the best in any individual game that he recorded as a member of the Saints. Another that certainly applies is when the Saints clinched the NFC West championship in 1991, their first division title in franchise history. Playing at Sun Devil Field in Tempe, AZ, the Saints defense was dominant in a 27-3 victory over the Arizona Cardinals. They picked off five passes from Stan Gelbaugh (3) and Chris Chandler (2), including three by safety Gene Atkins. Hebert wrapped up the victory with a 19-yard touchdown pass to Floyd Turner in the fourth quarter. Honors: Hebert was inducted into the Saints Hall of Fame in 1999 and he was inducted into the Louisiana Sports Hall of Fame in 2000.